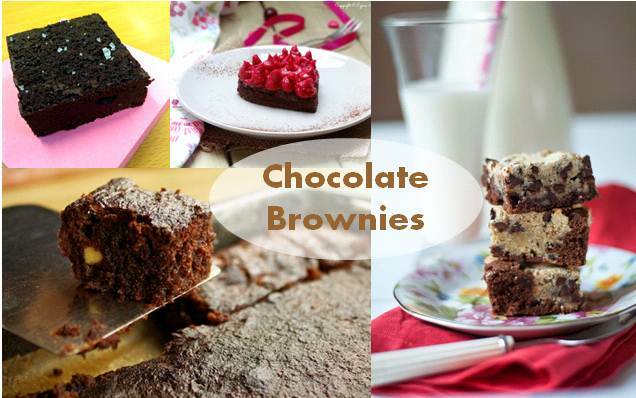 I don’t care if it is spring, summer, autumn or winter… it is always the right season for chocolates brownies!! Obviously, we dont condone eating mountains of chocolate… but we do want to highlight that not only is a piece (or two) pretty good for you… but it TASTES so good as well!!!! And what better way to consume it than in a brownie?? Elisa of Belgian Smaak shows us in a Step by Step fashion how to make brownies at home – simple, easy and oh so tasty! While Sarah of Sarah’s Kitchen adds a little savoury into the sweet with a Salted Fudge Brownie. And if the tartness of berries is your thing – then you have to check out Lyne of Epice Set Moi‘s Cranberry Curd Brownie recipe! And only Myriam of Hap n Tap can take 2 gorgeous baked good ideas and combine them into something GREAT… that’s right cookies + brownies = brookies! And lastly… I sneak my own chocolate brownie recipe in here – a sure winner with friends. Do you have a chocolate brownie recipe to share with us? Just add the link to the comments section below!